Down a two-lane road on the outskirts of Princeton, Ky., next to a cemetery and past the Light of Truth Church, is the Porter Road Butcher Meat Co. facility — a staging ground for what the Nashville-based startup Porter Road hopes will be a revolution in the American meatpacking industry. 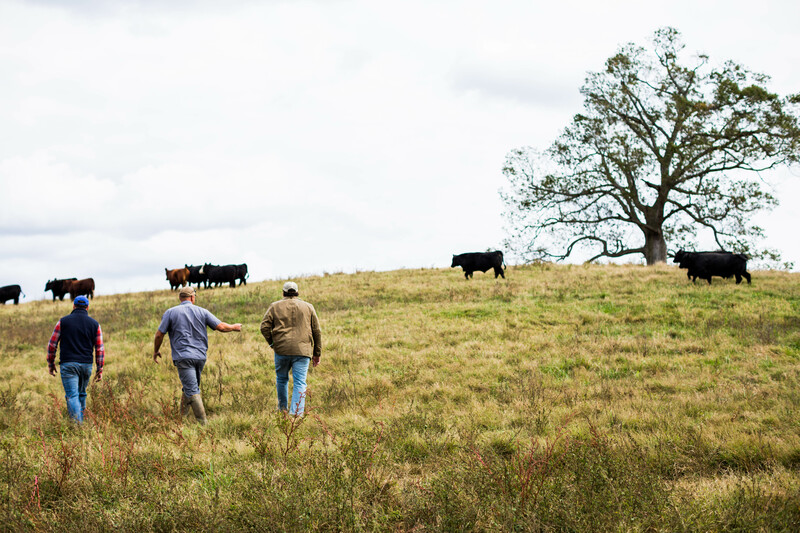 For the company’s co-founders, James Peisker and Chris Carter, the refashioning of the meat business in America is the next step in a nearly decade-long journey since the former chefs first met working in the restaurant of Nashville’s historic Hermitage Hotel. The two men started their butcher business selling locally sourced meat from the East Nashville Farmer’s Market in 2010, and eventually moved to a storefront in the same neighborhood a year later. But from the beginning the two men had bigger ambitions, and as the business became increasingly successful, they began thinking about how to bring their approach to the meat industry to the entire country. “What we see the future is is being able to reach as many people as we can in the country and offer them the best quality, most sustainably raised products,” said Carter in an interview. As they began building the business in earnest, the two men realized there was a critical part of the process over which they had no control — the meat processing itself. “I would love to be Omaha Steaks,” said Carter. “But I would love to bring change to the system that Omaha Steaks buys into.” To do that meant not just sourcing from sustainable farms, but making sure that their slaughterhouse and processing facility was operating to standards that the two co-founders set for themselves. 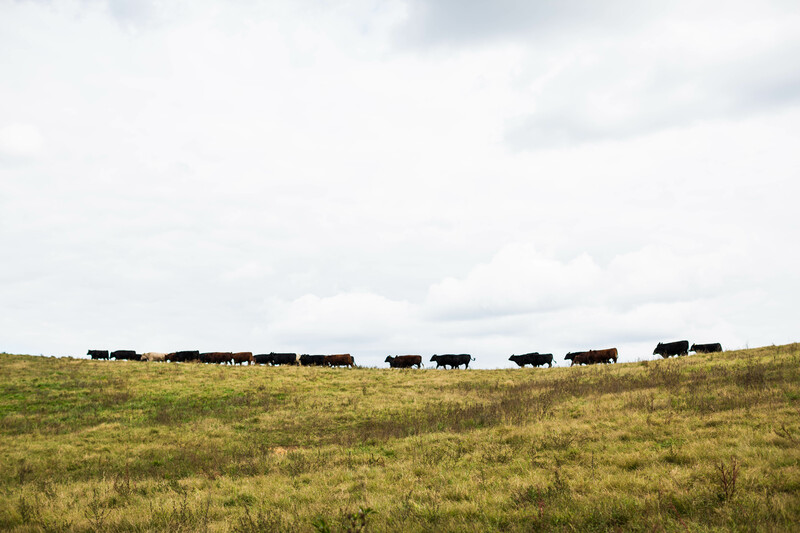 Peisker and Carter envision a different path, one that’s decentralizing the commodity meat industry. Instead of industrial farms producing thousands of head, smaller sustainable farms could raise livestock in the hundreds. Those sustainably raised animals could then be sent to local processing plants and slaughtered in facilities that are better for workers and (more) humane for animals. “One of the first things we did was to take away the electric prod sticks and cattle paddles,” said Peisker. Ultimately the men recognize that there’s only so much that can be done to make the industry operate more efficiently and humanely, but every little bit helps. The alternative is continuing to operate at scales that are toxic for the entire country. For example, earlier this month a jury in North Carolina awarded residents near a Smithfield Farms hog farm $470 million to address their complaints about the stench and the industrial pollution coming from the farm. In all, industrial animal farms operated by just four companies produce 80 percent of the meat U.S. consumers eat. And the environmental impact of these industrial farms is well understood. For Ryan Darnell, a managing partner of Max Ventures (and childhood friend of Carter’s), the Porter Road business makes good business sense beyond its social and environmental benefits. Companies like Crowd Cow and ButcherBox offer organic meat for sale, but Darnell said the vertical integration that Porter Road has built makes it a fundamentally different company from those startups. “Most of the competitors in this space have a digital storefront (for distribution) and buy out of the existing supply chain. A few will try to backwards integrate, but it’s difficult to learn how to accurately evaluate farmers and implement best practices in a processing facility,” Darnell wrote. All of this attention to detail in the process is also reflected in the price of Porter Road’s meats (they aren’t cheap). But the notion for Peisker is that people can eat fewer, higher-quality meat meals with Porter Road products (which may also be better for the environment too). Porter Road’s evolution — which culminated in the company launching an online presence in 2017 — is coming at a time when shifting consumption patterns are changing the ways Americans shop and eat. The Amazon acquisition of Whole Foods has changed the organic market as the once-mighty grocery chain becomes more incorporated into the Seattle e-commerce giant’s commercial operations. That’s opened the doors for direct to consumer competitors to come in — including companies like Thrive Market, Crowd Cow and Porter Road. “Whole Foods, post-Amazon is just another grocery store now,” said Peisker. And Americans continue to love organic foods. Sales of organic food products hit a record $45.2 billion in 2017, according to the Organic Trade Association. While growth slowed to 6.7 percent from 9 percent in 2016, the overall numbers are still surpassing the anemic 1 percent growth of the U.S. food business overall, according to the report. Porter Road’s founders say those numbers are reflected in its own business. “We get busier every day,” said Carter. Over the summer the company was averaging 60 boxes shipped per-day with roughly 5-8 pounds of meat in a box. With the boost from the $3.7 million in venture funding it received earlier in the year backed by investors including Max Ventures, Slow Ventures, BoxGroup, Tribeca Venture Partners, Collaborative Fund and Great Oaks VC, Porter Road is hoping to expand its operations. The co-founders of Porter Road see opportunities to open a similar processing facility to the one already operating in Princeton — and ideally will be able to build a network of abattoirs around the country. “If we can make a better life for the animals that go into our food system and better food for consumers, why wouldn’t we do it?” said Peisker.